A few weeks ago I ran into an article that referenced the Physicians Desk Reference for Herbal Medicine. Considering my time in medicine and the fact that I work in a medical clinic, I was completely blown away by the fact that such a book existed. Of course I promptly went onto the Internet and purchased a copy. Here is a newer version of the edition that I purchased. From the onset, I was blown away by this book. 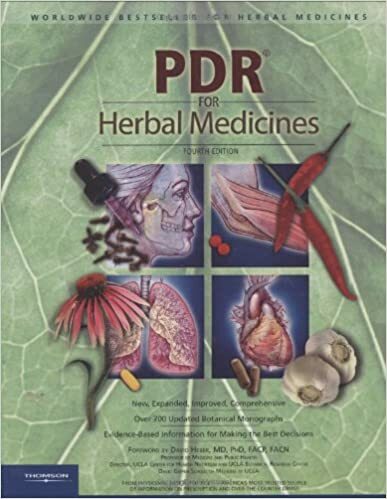 The amount of information in this book makes it one of the most comprehensive collections of herbal medicine documentation I think I have ever seen. The edition that I purchased go so far as to touch upon the different preparations and parts of the plants that are used for different conditions. By picking up this book as a supplement to several other herbal remedy sources, I am finally beginning to feel pretty comfortable with substituting this method of healing for Western Medicine. Of course each person’s results will vary, I am at least feeling much better than when I was relying upon chemical pharmaceuticals. If nothing else it would be a great reference if you were unable to get to a doctor for whatever reason. This entry was posted in Miscellaneous and tagged herbal medicine, natural remedies on April 11, 2016 by Woodsbum.